Dentures at Clayfield provide you with modern, state-of-the-art denture care. Are you looking for your first set of dentures? Perhaps your dentures are uncomfortable and affecting your quality of life? At Dentures at Clayfield, we have a range of denture options and services for all patients. Dentures at Clayfield provides modern, state-of-the-art denture solutions. Our custom-made dentures offer comfort and security, so you can live your life to the fullest. We’ll take the time to listen to your needs, so we can closely tailor a treatment plan that’s right for you. All our dentures are made in our purpose-built, on-site dental laboratory. As your dedicated Clayfield denture clinic, you can rest assured you’re receiving customised and precision dentures through sophisticated technology and the latest advances in clinical techniques. As part of our premium service to patients, we offer a convenient mobile denture service and visit retirement villages and care facilities. Dentures at Clayfield also make custom mouthguards to ensure maximum protection against sport injuries. We are a family owned denture clinic, operating in the local community of Brisbane’s northern suburbs for the last 10 years. Dentures at Clayfield was established in conjunction with R & J Dental Laboratory and can provide a complete denture service on the same premises, so you can be confident you’re getting the very best service. We specialise in adjustments, cleaning, customising, denture repairs, precision dentures, relines and replacements. Our dental prosthetist, Rod Litzow and his team boast over 28 years’ supplying patients with superior denture care. After undertaking further studies to become a registered dental prosthetist, Rod Litzow and the team can now provide this service direct to you in our new denture clinic. We combine clinical expertise with technical skill to produce comfortable, natural-looking dentures. One of the key philosophies that drives our practice is “quality without compromise.” We want everyone to have access to premium denture care, so we strive to provide our services at affordable prices. 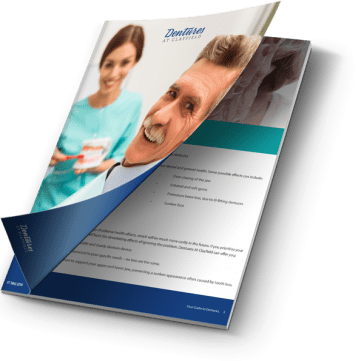 If you want to learn more about your denture options, download our FREE denture guide today! Dentures are designed to replicate the function and appearance of a single missing tooth, multiple missing teeth or full mouth restoration. Dentures at Clayfield offer a range of denture solutions including full dentures, partial dentures, denture relines and denture repairs. Despite what many people think, custom-made and quality dentures do not involve messy cleaning routines or adhesives. Especially not the embarrassment of slipping out. Instead, our dentures offer sturdy, natural-looking and affordable tooth restoration. To request a personalised consultation to determine the health of your gums and remaining teeth, and suitability for dentures, contact us. Our denture devices are fabricated in our purpose-built dental laboratory located on-site. While other dental clinics may outsource their work to other laboratories, we operate our very own with highly experienced technicians. As a result, we create precision denture appliances to your unique requirements and can make any final adjustments promptly. A huge advantage of an on-site laboratory is a faster turn-around time. Our dental technicians can begin fabricating your device immediately after they receive your specifications and impressions. Dentures at Clayfield understand that life has its challenges for seniors, especially when transport is involved. As such, we offer a convenient mobile denture service and visit retirement villages and care facilities. Our fully equipped mobile denture service allows everyone to receive the care they need in the comfort of their home. If you, a family member or carer would like to organise a mobile denture appointment, please contact us on (07) 3862 2256. Our team will visit any location in the greater Brisbane region. 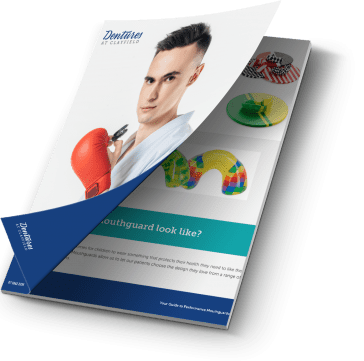 Protecting your smile with a custom-made mouthguard will help absorb the impact of a knock to the facial area and prevent injuries. Dentures at Clayfield offers protection against these painful and costly injuries with a range of mouthguard designs.